Hyderabad (PTI): Rather than imparting knowledge, education in India has become a “commercial commodity”, rued eminent scientist G Madhavan Nair, who also spoke out strongly against the tendency of parties to make campuses a training ground for budding politicians. 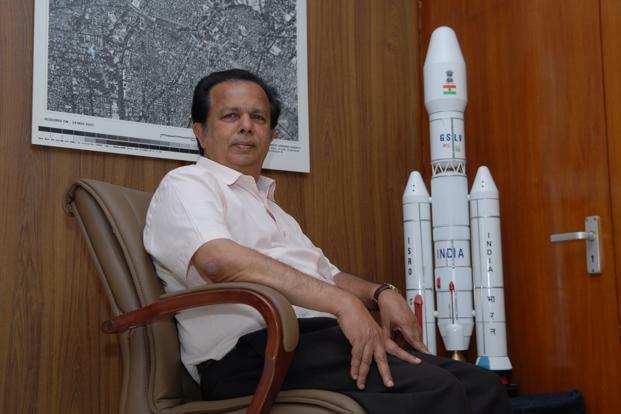 The former Chairman of Indian Space Research Organisation said “real education” is not being imparted to children who in fact are being “spoon-fed”, and most of the evaluation exams are memory-tests rather than gauging their understanding of the subject. “That’s why the education system has deteriorated considerably. Result is that the people who come out even after graduation or engineering, they are not employable. They don’t have the basic understanding of the subject, don’t have the skills for applying knowledge for practical applications and this is resulting in a pathetic situation,” he told PTI. Quality is the “first casualty” at many of India’s private institutions, which are only interested in increasing student intake number and making money, according to him. “I think basically education has become a commercial commodity these days rather than acquiring excellence in knowledge,” Nair said. He, however, said institutions such as IITs and Indian Institute of Science in Bengaluru are maintaining their standards mostly because they get “best of the students” on their campus but they need to raise their level from global perspective. He expressed the view that one should not mix politics with education. “Today, there is a bad tendency. There are many political parties who want to use these institutions for building up their cadres, and that should be stopped,” Nair said. Instead, he said, interested political parties can start a separate institute for training politicians, rather than converting educational institutions for such a purpose. Nair stressed that the thrust of education should be on improving observation, analytical and communication skills of students, in addition to cultivating moral values. “These should form the basis of primary education. Once the foundation is strong and you show them the way how to acquire knowledge, that is sufficient. There is no point in just doing 10,000 answers by-heart, that will not take you anywhere. Education system should be an enabler, that kind of change is required,” he said. Nair also regretted that talented people are not coming into the teaching profession, adding, teachers are not being given proper and professional training. Stressing that quality is a must in teaching, he said teachers also need to be evaluated periodically. Nair advocated adopting some basic lessons from “Gurukul system”, particularly strong relation between the teacher-student and the parent. “That ambience has to be created. Evaluations should not be based on annual exam. It should be constant evaluation where the parent also participates in a very scientific manner. Moral studies have to be given strong base in early part of education,” he said. Nair said three language (Hindi, English and local language) policy has to be adopted in all the states. Hindi is a link language, while English cannot be kept out of our system, he said, adding, basic education can be imparted in a much more efficient manner in local language. He also favoured giving students an option to study Sanskrit. “Sanskrit is one of the most scientific languages, learning that, I understand, will improve analytical skills of the individual.